Hidden in the dense sawgrass or buried in the deep muck of the Everglades are the mysterious wrecks of numerous aircraft. Some were drug planes that fled federal agents, others were private aircraft that ran into trouble or vintage warplanes that crashed during exercises. No one knows for sure how many remain out there. Estimates range from less than a dozen to more than 50. But Aeroquest.com, a group of volunteer aviation sleuths, has resolved to find — or learn the story behind — as many of the wrecks as possible. 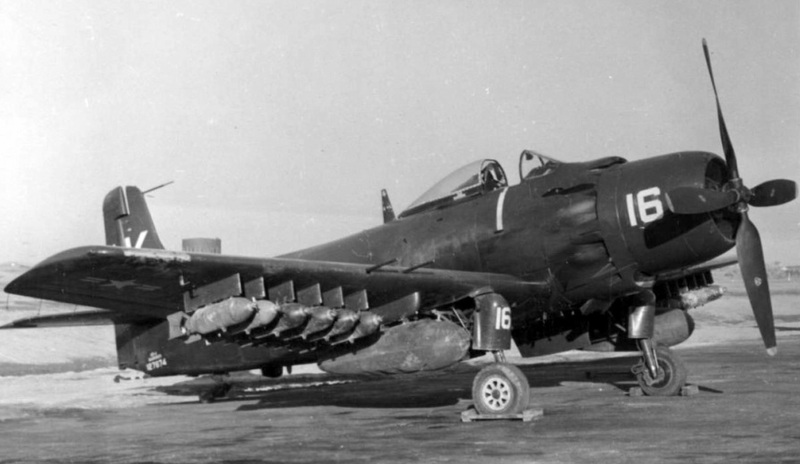 Their most recent find occurred about three weeks ago, when air boaters spotted the wreckage of a Marine AD-4 Skyraider in northwest Broward County. From photos taken of the plane's bureau number, the group was able to determine the single-engine attack was piloted by First Lt. Norman Dolsen, 27, and crashed on May 19, 1955. "He was just married two weeks before the crash," said Andy Marocco, president of Aeroquest.com. The group was actually trying to find the TBM-3 Avenger flown by the commander of Flight 19, also known as "the Lost Patrol." That was the squadron of five Navy torpedo bombers that vanished after taking off from Fort Lauderdale in 1945, popularizing the myth of the Bermuda Triangle. While many aviation buffs believe the plane was lost over the Atlantic Ocean, "until Flight 19 is found elsewhere, the possibility remains the planes could still be in the Everglades, and we'll continue to look for them there," Marocco said. The aviation enthusiasts use historical clues, air boater sightings and Google Earth satellite imagery to locate planes. Yet spotting them isn't easy. "It's almost like a wheat field in Kansas, just miles and miles of sawgrass, blowing in the breeze," said Brett Holcombe, president of the Broward County Airboat Halftrack and Conservation Club and an Aeroquest member. "It's literally like searching for a needle in a haystack." Compounding the problem, air boaters and hunters sometimes take pieces of wreckage for souvenirs. Ron Bergeron, commissioner for the Florida Fish and Wildlife Conservation Commission and an avid outdoorsman, said he has observed several wrecks hidden in the swamp in the past six decades, including warplanes. He said in the 1940s and 1950s, Navy and Marine aircraft used to make practice bomb runs in an area not far from the Sawgrass Recreation Park, off U.S. 27, north of Interstate 75. "I've even found the old bombs in certain areas, where they were taking target practice," he said. In the most recent find, Marocco learned the details after obtaining a Marine accident report based on the plane's bureau number. It said Dolsen had been practicing high-G maneuvers with three other planes. While at about 1,000 feet, he blacked out and lost control of the plane. The Marine Corps at the time recovered the body but left the wreckage in the swamp. It was essentially forgotten for 59 years until the air boaters rediscovered its wings, tail section and landing gear. Earlier this month, Marocco solved another Everglades case when he verified that a torpedo bomber originally found in far west Broward in 1989 had crashed in March 1947 and that its pilot, Ens. Ralph Wachob, was killed. Wachob, 26, of Fort Lauderdale, a Naval Reserve officer, had been en route from Miami to Tampa on a navigational exercise when he flew into bad weather, developed vertigo and lost control of the aircraft. Initially, Marocco and fellow aviation sleuth Jon Myhre thought that plane was flown by Lt. Charles Taylor, the Flight 19 leader. However, from photos originally taken in 1989, Marocco was able to confirm that wasn't the case. In addition to the Avenger and the Skyraider, Holcombe said he knows of two other wrecks in the Everglades of west Broward, both involving small private planes. One was too mangled to determine why it went down. The other is a red, white and blue twin-Cessna that crashed about 30 years ago. "The story behind it is that the pilot left a suicide note in his car, took off in his plane and flew straight into the swamp," Holcombe said.